Yes, mine is bigger than either of yours. Hard to get a good measurement, he does not stay still at all. Once in a while, I tape a small linear segment of 4-6 inches piece of paper right in the middle lower of my tank. With this, as the fish swim about, I can fairly accurately estimate their length. You be surprise how much you underestimate your fish size without it, at least I was. Are you measuring the fish length, with or without the tail? Fish length including the tail. 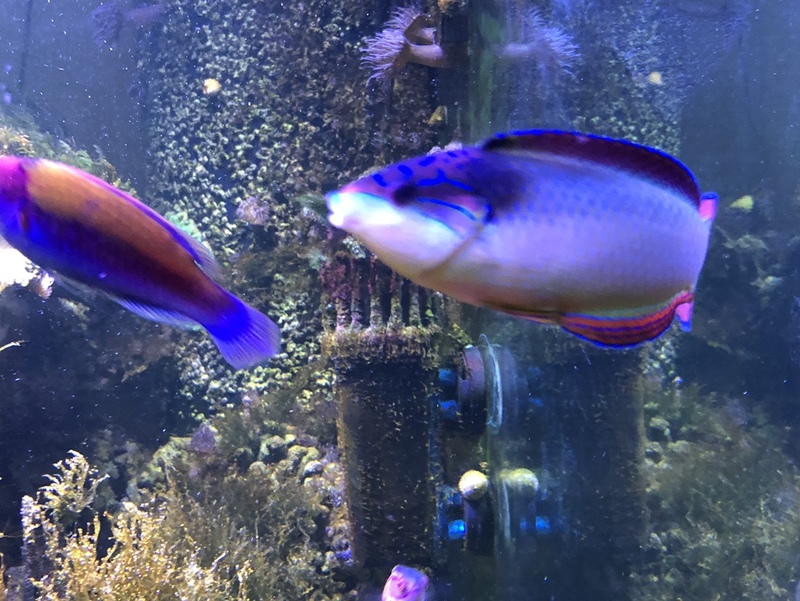 Had this wrasse a few years and he’s gone full male. Love the colors on them. I’ve kept several over the years and while they are listed as difficult I’ve been successfully with them. "and as things fell apart, nobody paid much attention." Does anybody know about the approximate size of a China Tamarin when they may change from female to male? I have two in my 320 and would love to have a pair. About 4-5” in my experience. Thanks. Do you have two or just one? Thanks again. Very beautiful colors.